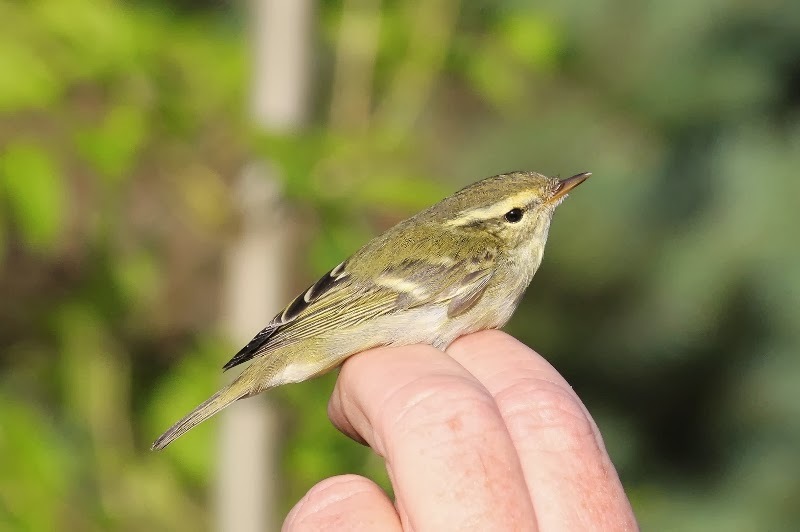 It was a brilliant day for Yellow-browed Warblers with a minimum of 16 found within the area, bringing this years total to 18 and beating the highest ever total of 14 for the whole of 2005 with 3 being the highest ever day count in the past! Birds were seen near Ravenscar (4), Sycaram Wood (1), Long Nab area (5, including 1 in off the sea), Castle Hill (3), Spa Gardens (1), Italian Gardens (1) and Holbeck (1). 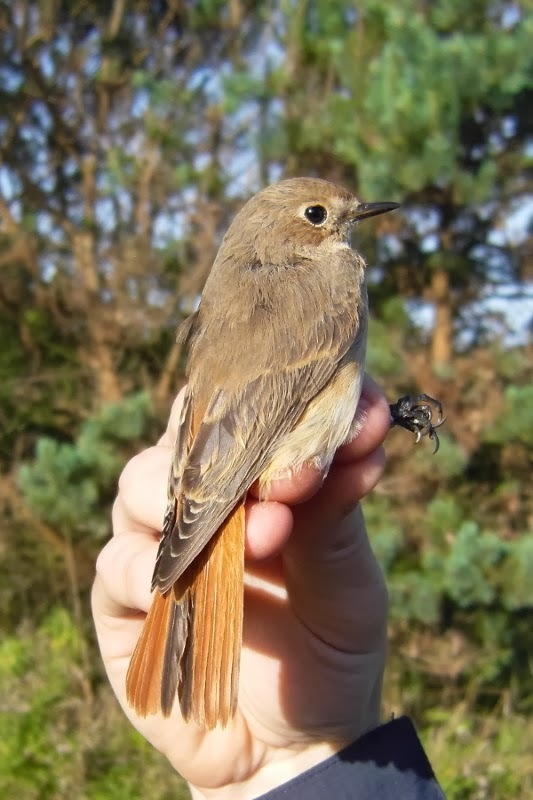 Migrants seen between Ravenscar and South Cliff were 6 Snipe, 9 Skylark, 56 Meadow Pipit, 4 Wheatear, 1 Redstart (Long Nab), 44 Robin, 46 Song Thrush, 2 Redwing, 10 Blackbird, 3 Blackcap, 2 Lesser Whitethroat, 1 Whitethroat, 1 Willow Warbler, 32 Chiffchaff, 7 Goldcrest, 5 Siskin, 1 Reed Bunting and 2 Lapland Bunting (in off the sea at Long Nab). On the move (south unless stated) were 16 Red-throated Diver, 8 Fulmar north, 3 Manx Shearwater north, 2 Sooty Shearwater north, were 26 Pink-footed Geese, 52 Teal north, 34 Wigeon north, 2 Common Scoter + 4 north, 2 Golden Plover, 6 Ringed Plover, 1 Dunlin, 2 Great Skua north, 319 Kittiwake north, 2 Sandwich Tern, 42 Skylark, 35 Meadow Pipit, 1 Rock Pipit, 1 flava, 8 Swallow and 2 Reed Bunting. Elsewhere 22 Ringed Plover, 41 Duniln and 2 Bar-tailed Godwit were in Jackson's Bay, 5 Mediterranean Gulls were at Holbeck, a Dipper was seen along Scalby Beck, a Barnacle Goose was on Peasholme Park and 2 Arctic Skua were blogging offshore.